So glad you dropped by! Relax & browse through my shop for home decorating & gift ideas that I've "Made Especially For You". I offer highly scented candles in the primitive style, handcrafted ceramic country geese & a bunny too! Wooden swans with berry or heart accents, primitive lamps & much more! 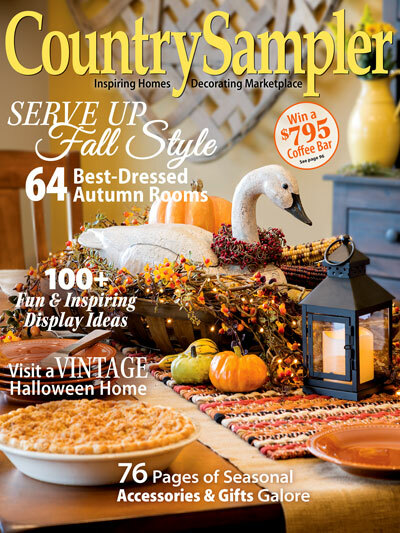 Our COUNTRY GOOSE was featured in the Fall 2018 Country Sampler ! PLEASE BE SURE TO STOP BACK SOON AS NEW ITEMS ARE ADDED OFTEN! Please join our mailing list below to be notified of sales and special offers!